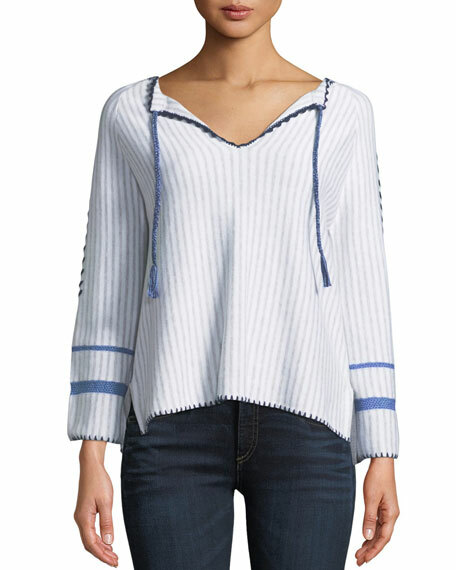 Lisa Todd "Escape" sweater tunic in striped bohemian-style striped knit. Approx. length: 23"L from shoulder to hem; 22"L down center back. 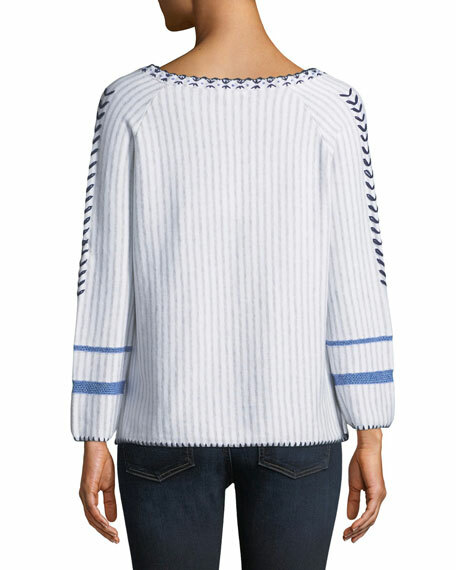 Whipstitch trim at sleeves and hem. For in-store inquiries, use sku #2477282.